Baltimore: Stand With The Greek Workers! 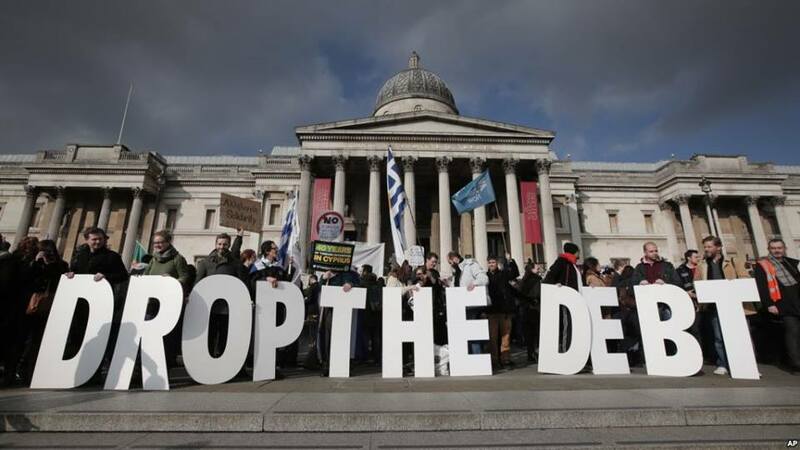 Say OXI (NO) to Austerity, At Home and Abroad! –Wednesday, July 15, 2015: 5:00pm in EDT; Mckeldin Square in Baltimore, Maryland. FB Event. See our statement below. Detroit Stands with the Greek Workers: NO TO AUSTERITY AND ECONOMIC TERRORISM – FB Event. – Wed, July 15: Detroit is an epicenter for austerity and the war by finance capital against the working class in the US. The workers of Detroit stand with the people of Greece in saying NO to austerity, NO to pension cuts, and NO to privatization. CANCEL THE ILLEGAL DEBT. MAKE THE BANKS PAY. ***Others: Buffalo: FB Event / NYC: FB Event ; Los Angeles: Call 323-306-6240; Oakland: FB Event. On July 5th, the Greek people voted in a national referendum on whether to accept harsh austerity terms from the Troika, the three institutions ruling Greece’s debt: The European Commission, The European Central Bank, and the International Monetary Fund. The Greeks voted NO, in a landslide 61%, and rejected the Troika’s harsh anti-people measures.But the Eurogroup is not a democratic institution.Since the referendum, the Bankers’ terms have only become more harsh. Now the ruling party, Syriza, has capitulated under the intense pressure of the entire international financial oligarchy and are offering the Troika even harsher austerity conditions than what was rejected in the referendum. The Greek working class is mobilizing for protests to show their government and the bankers of Europe that, when it comes to austerity “NO MEANS NO!”, regardless of who puts it forward.Baltimore MUST stand with the Greek people! The harsh pension and wage cuts, increases in retirement age, increases in healthcare costs, and privatization of vital public enterprises being implemented in Greece are already familiar things to the working class here in the United States. Baltimore has faced similar issues for years, and we know the pain first hand. We also know, that if the Oligarchs are successful in beating back this challenge to their power in Greece, then they will only be more emboldened to continue the same inhuman methods around the world. This is a battle for the rights of all working people against the billionaires who want to rob us of a decent living! Stand with Greece! Baltimore is Athens! OXI TO THE END!